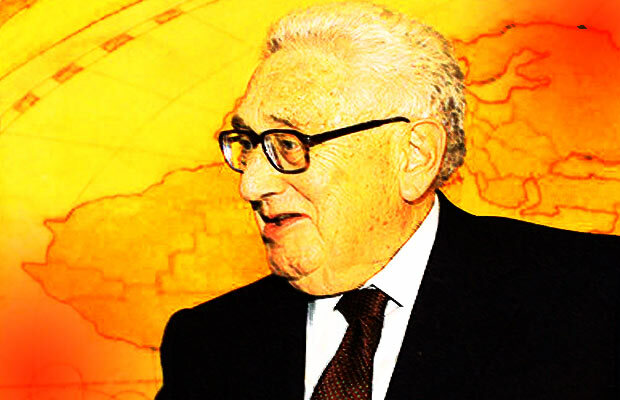 Kissinger’s definition of terrorism might surprise you. Then again, it might be exactly what you thought it would be. Only a few years later, we have witnessed the Western-backed Arab Spring, which has turned over numerous North African and Middle Eastern nations. After nearly two years of semi-covertly arming al Qaeda fighters in Syria, most recently Western support and provision of arms for Syrian Rebels (who admittedly used their own chemical weapons) are becoming public knowledge now that a mythical ‘red line’ has supposedly been crossed by Syrian leader Bashar al-Assad. On top of that, Kissinger is also saying the word “terrorist” is really someone who would reject the “international system” — a new world order. Part of that order appears to be American empire building and the spreading of our nation’s brand of “democracy” throughout the rest of the world…whether they like it or not. How do you think someone with Kissinger’s perspective would see American patriots who reject the United Nations or central banking system? Surely, he sees them as “terrorists” as well. Further, if the State held similar views and used the “terrorist” label — which is used in this country like screaming “fire!” in a theater to circumvent the Constitution on a daily basis — such resistors to the new world order would be instantly criminalized, marginalized and marked for imprisonment or death. I wish this Archon would kick the bucket already. use orgone energy to defeat the parasites! Yeah… parasites invading border just because they can via proxies.